A competent maxi scooter with a claimed 108mph top speed and armchair comfort. Well equipped, with ABS and electronically adjustable screen as standard, plus two glove boxes and a large under-seat compartment. Optional heated grips and seat available in a ‘Highline’ version for an extra £750. Not as nimble or fast as the C600 Sport model despite sharing the same engine and chassis. Production delayed after MCN reported the glove box doors felt cheap, and one on the C600 Sport opened when supposedly locked. Pricey. Competent and planted, if slightly bus-like compared to its more agile brother, the C600 Sport. Brakes and suspension are more than up to the job. Production delayed after MCN reported the glove box doors felt cheap, and one on the C600 Sport opened when supposedly locked. The petrol filler cap also seemed flimsy for a machine of this price. Hopefully, when it eventually goes on sale, this will have been addressed. Reliability as yet unknown. It’s the most expensive scooter yet. Suzuki’s 650 Burgman Executive has heated grips, seat, electric screen and 110mph potential for £1500 less. BMW might shift a few in the southern Europe but the C650GT is unlikely break any sales records in the UK. Excellent for a scooter, with ABS and electronically adjustable screen as standard, two glove boxes, one lockable, and space under the seat for two full-face lids (just). A ‘Highline’ version is available with heated grips, seat and LED daytime running lights – for an eye-watering extra £750. C600 Sport. The same engine and chassis but with less bulk and different ergonomics, resulting in what feels like a completely different, much sportier machine. 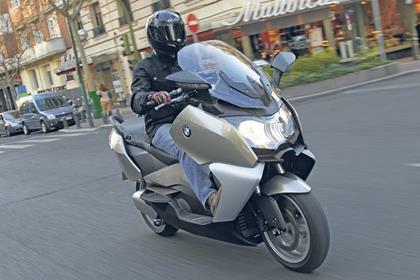 2 owners have reviewed their BMW C650GT (2012-2014) and rated it in a number of areas. Read what they have to say and what they like and dislike about the bike below. Much better than a scooter has a right to be - but sadly overpriced. I look forward to the Mark 2 version? By maxi scooter standards (and I have owned three) the suspension and brakes are superb. All I would ask is for some remote pre-load adjustment for the rear. C-spanners not really appropriate on a bike like this. Powerful engine which, partly thanks to twist and go CVT transmission, gives much better acceleration than you would expect. Its also cruises two-up with raised screen and full luggage in the eighties, even nineties - on the autobahn obviously. Exhaust note is a bit harsh and tiring on a long run. It has only let me down once when the switchgear failed (during a tour of the Pyrenees!) and that was quickly replaced under warranty. 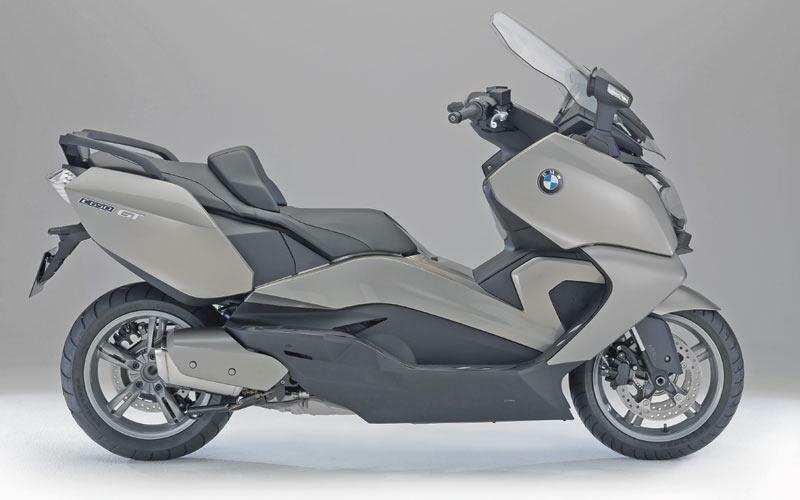 Quality is generally good - for a scooter - but not to the standard of similarly priced BMW (or Honda!) bikes. I bought this a year old with very low mileage from the local BMW dealer. It was an OK transaction. There is one major reason why I own this bike - my wife can no longer get on the pillion of a 'normal' bike as she has a problem with her hip dislocating (not good). She can slide onto a scooter and so we tour on this - for which it is excellent. 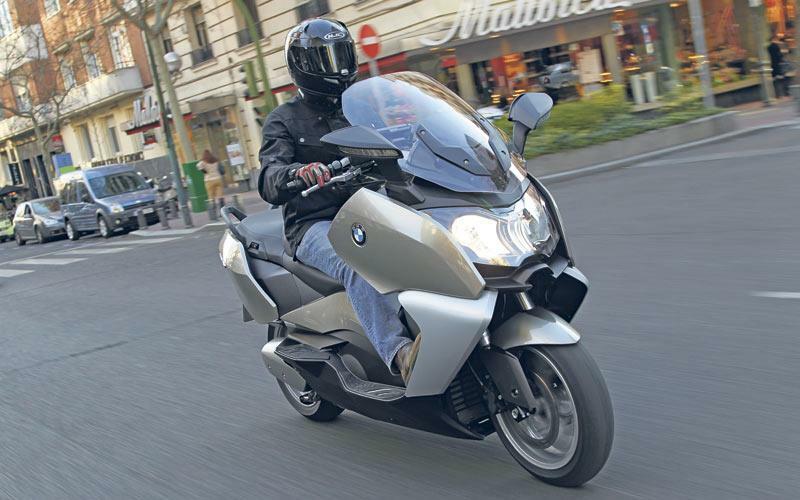 The only other bike on production which would do the job is the Burgman 650. I'm really hoping BMW will persist and bring out a Mark 2 version of the C650 - and at a more realistic price. It deserves to succeed. I've only had my bike for three weeks but have managed to clock up 600 miles which is I guess more than most test rides. My main reason for trying the C650GT in the first place was for my wife to see how easy it was to get on and off - an important consideration when you're covering longer touring distances. Secondly would it carry enough luggage for us both for a ten day to two week tour. It is easier for the pillion to mount and dismount than the previous bike (RT1200) and carries almost as much luggage. We've made a 300 mile round trip to stay with our daughter for a couple of nights and the bike was very comfortable to ride. It handles very well and so far is returning about 60 to the gallon - not bad for a new engine. We're now looking forward to a long weekend away in the Forest of Dean in January and Germany next June. Definitely this is capable of being more than just a commuter machine and will be good for touring. Yes it is a little pricey but hopefully it will have the build quality and reliability to justify the price.